In the 1980s, an Australian physician practicing a controversial branch of alternative medicine claimed to have cured more than 100 people of systemic lupus erythematosus with the gluten-free diet used to control celiac disease. Since then, mainstream medical studies have reported conflicting results in establishing a link between the two diseases. Research continues, but some scientific evidence suggests that lupus and celiac disease may often be "overlapping" conditions. The function of the autoimmune system is to attack and destroy potentially toxic foreign substances. For reasons unknown, these attacks are sometimes directed against the body itself, causing a wide range of conditions collectively known as autoimmune diseases. Systemic lupus erythematosus is a serious and potentially fatal syndrome characterized by an autoimmune assault on various organs and systems that may include the skin, joints, central nervous system, heart and kidneys. In celiac disease, the autoimmune attack is triggered by glutens, proteins in wheat, barley and rye. The lining of the small intestine is the initial focus, but the antibodies circulating in the bloodstream may also produce symptoms that suggest autoimmune dysfunction with no apparent link to the digestive tract. Two-time Nobel Prize laureate Linus Pauling is considered to be the founder of orthomolecular medicine, which holds that most serious diseases are caused by hereditary food allergies that prevent essential vitamins and nutrients from being absorbed by the body. In a foreword to the 2002 book "Dangerous Grains" by James Braly and Ron Hoggan, Dr. Jonathan Wright, medical director of the Tahoma Clinic in Washington, described the findings of Dr. Christopher Reading, an orthomolecular psychiatrist practicing in Sydney, Australia. Allegedly, Reading had cured more than 100 lupus patients using gluten- and dairy-free diets combined with heavy doses of oral and intravenous nutritional supplements. Wright, who tried the same approach in his own practice, wrote that results had been "fantastic." As far as mainstream medicine is concerned, the nature of the association between lupus and celiac disease is still unclear. However, a study published in April 2007 in the journal "Clinical Rheumatology" noted that "many similarities exist" and pointed to 13 prior reports published in medical literature of both diseases occurring simultaneously. 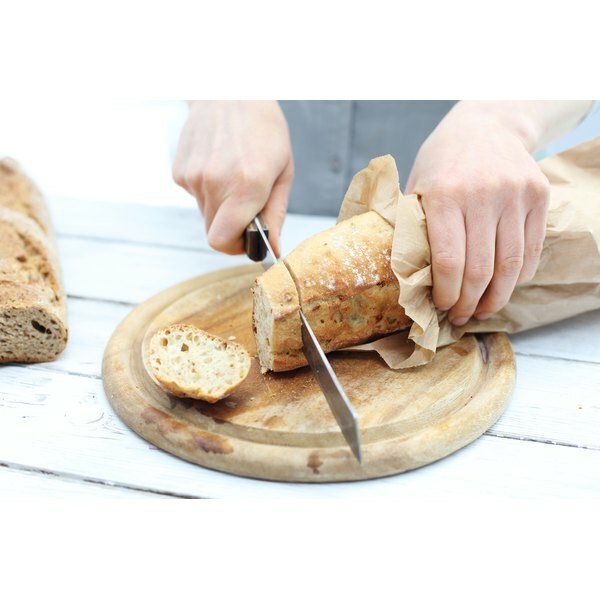 A study published in the 2004 edition of "Annals of Rheumatic Diseases" involved three lupus patients who had been symptom-free and off all medications for years after eliminating gluten from their diets. A study published in the March 2008 "Journal of Clinical Gastroenterology" reported similar findings, concurring that lupus and celiac disease occurred together far more frequently than "currently appreciated." While the controversy awaits a satisfactory scientific resolution, people with lupus, celiac disease and other autoimmune conditions still need to be treated. Dr. Lisa Criscione-Scheiber of Duke University's Lupus Clinic thinks that at the clinical level, less emphasis should be placed on "labels" and more on doing whatever works best for the organs affected. Among people with lupus, "overlapping" autoimmune conditions, including celiac disease, are very common, she says, and based on the weight individual doctors give to symptoms, they may assign different names to the same diseases.